After a long flight or several long days of tourism in Paris, you'll probably want to enjoy some rest and relaxation. 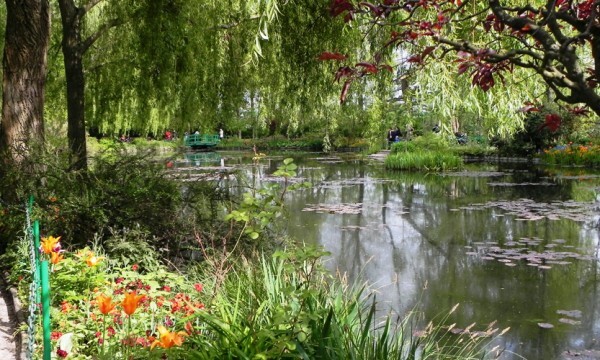 There is no better place to stop on your way to the Normandy beaches than Monet's garden in Giverny. From Paris CDG airport or downtown Paris, the drive to Giverny only takes an hour. Located between Paris and Rouen, a few minutes from the town of Vernon, Giverny is the most visited village in Normandy. With 400,000 tourists a year, we do our best to help travelers on our tours avoid the crowds. We have selected a charming Bed & Breakfast, situated less than 5 minute walk, right down the street of the Monet’s house. It is part of our Normandy self drive itineraries. There, you will be able to find peace and tranquility and visit Monet's garden early in the morning or late in the day when the day tours from Paris have left. We will also provide skip-the-line tickets so you can enjoy the best experience possible despite the hordes of tourists. The most remarkable site in Giverny is of course the house of Claude Monet. The impressionist painter lived there with his family for many years. It is a pretty but modest house with pink walls, surrounded by nature. Don’t expect to see any Monet’s original paintings - security is not adequate, so many of his paintings are in the Musée d’Orsay and Musée de L'Orangerie in Paris. One of the highlights of the tour is the Japanese garden, where Claude Monet painted his most famous painting series: the water lilies. You will be able to walk over the Japanese bridge, as if you had fallen into one of Monet’s paintings. 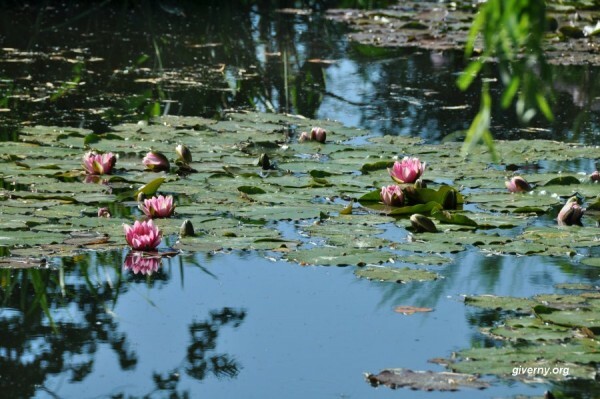 Gaze at the tranquil waters of the pond and admire the water lilies that Monet painted a million times from all angles. If you wish to escape from the crowds, we will recommend some adorable villages nearby filled with history, including Richard the Lionheart's fortress. 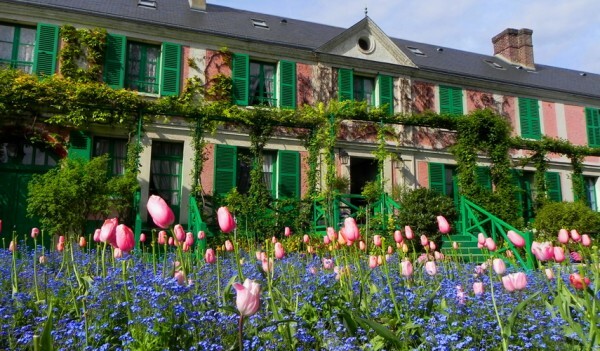 Another important monument in Giverny is the Impressionist museum, formerly called the American Art Museum of Giverny. At the end of the 19th century, numerous American artists who came to Paris to study art decided to move to Giverny. They were young, inexperienced artists who worshipped Claude Monet and who fell under the spell of this lovely town. Nowadays, their impressionist artwork is exhibited at the museum. For those who would like to spend several nights in our cozy B&B in Giverny, there are a lot of options in less than an hour's drive away. You can visit the city of Rouen and walk in Joan of Arc's footsteps, and you can also visit the Palace of Versailles, which will save you an expensive night in Paris. This is our second trip with France Just for You. The expertly organized trip we experienced the first time, brought us back again. We suggest that anyone reading this should give it a try. We know that Emilie and Guillaume will put together a holiday that you will never forget.